On to day 8. I had to give you something today… That’s my rule. 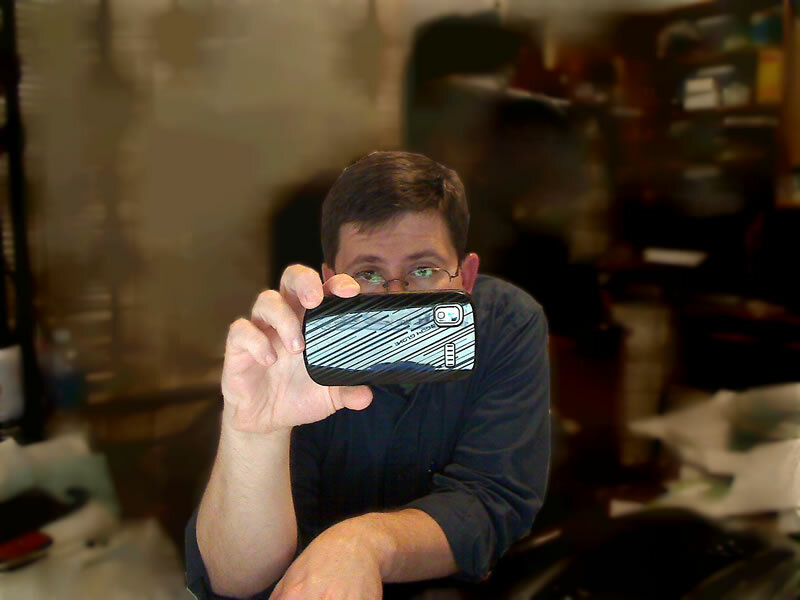 So, I’m giving you a picture from my webcam of me taking a picture OF my webcam. But, my office is just a bit too messy so I attempted some sly blurring. Now, it kind-of looks messy but, you cant really tell for sure if it is really messy. I’m actually working on a post about my WordPress 3.1 upgrade and the slight headache that was. Check back tomorrow, I should be done with it then, and I’ll wow you on the dangers of upgrading to WordPress 3.1 IF you are hosted on a Windows Server with IIS 6 and you are using any kind of ISAPI URL re-writer. Whew! Oh, and don’t forget to help finish a Story!